All ASP.NET tutorials include source code in both C# and VB.NET and the trial version of DayPilot Pro. 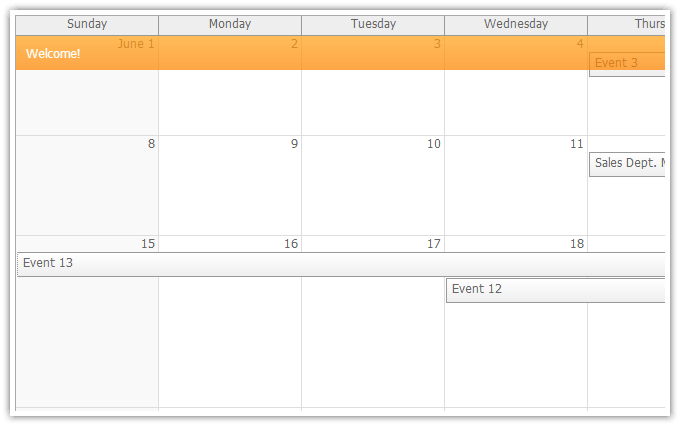 DayPilot ASP.NET Event Calendar displays an Outlook-like day/week view. Columns are customizable (you can display custom number of days or resources). Supports drag and drop AJAX operations (event creating, moving, resizing), context menu, integrated message bar. DayPilot ASP.NET Monthly Event Calendar is an Outlook-like month view. Events can span multiple days or be stacked inside day cells. Supports drag&drop AJAX operations (moving, resizing), context menu. DayPilot ASP.NET Scheduler is a timeline view of multiple resources. The cell size is adjustable (1 minute - 1 week). Supports drag&drop AJAX operations (moving, resizing), hierarchy of resources (treeview), dynamic event loading (while scrolling) and other advanced features. 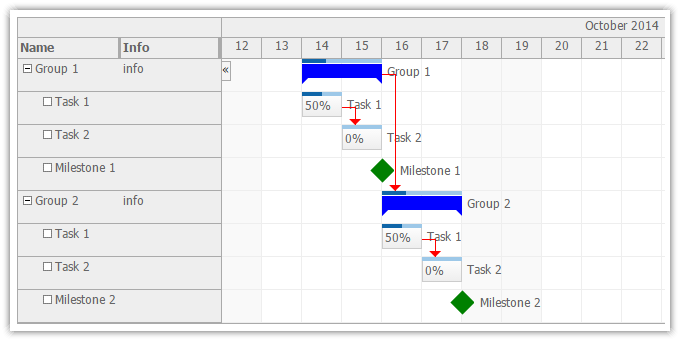 DayPilot ASP.NET Gantt Chart displays a timeline for a hierarchy of tasks, one task per row. 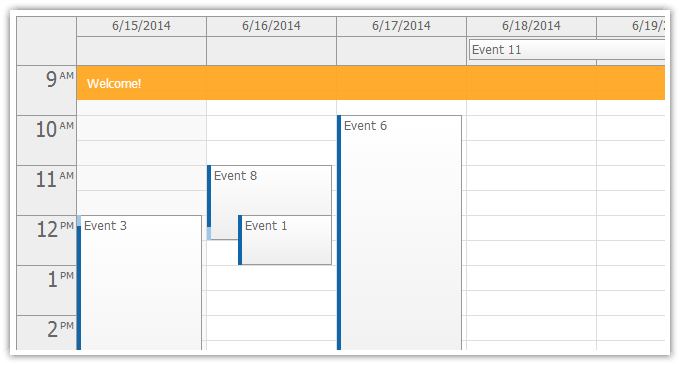 The Gantt chart supports task groups, milestone, task dependencies, drag and drop operations, task and row customizations and more.